How to freeze pie crust is a simple task. Making the pie crust from scratch is a little time consuming, there is a waiting period for the dough to hydrate. I make several batches at one time and freeze as individual pie crusts, which freeze well and defrost quickly. The benefit of making pie crusts in advance is having it on hand to make any kind of pie quickly. Don’t forget that pie crusts are for both sweet and savory preparations. See our post on basic pie crust. There are two methods I use to freeze a pie crust. 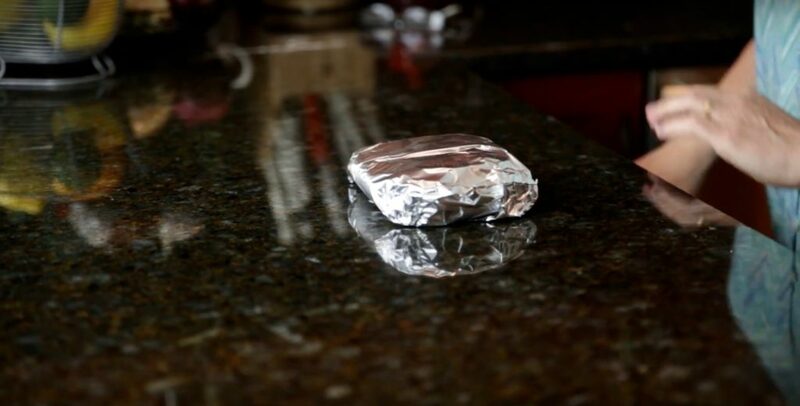 Wrap the unrolled pie disc wrapped in plastic tightly with foil and freeze. 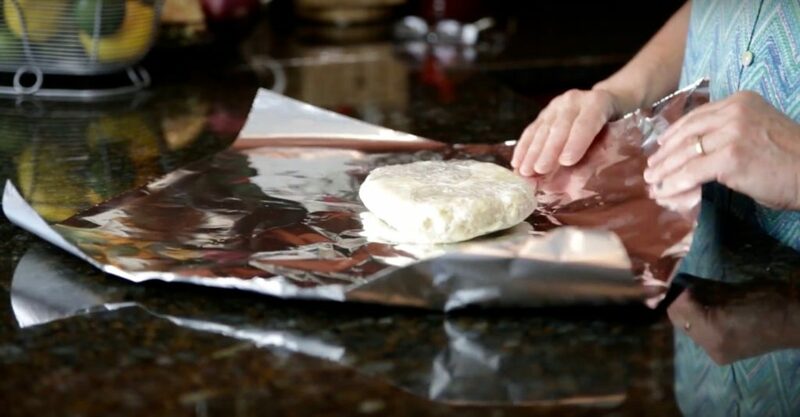 The second method is to roll out the dough to a 14-inch circle, place this on wax-paper lined heavy-duty aluminum foil, cover with another piece of wax paper and roll. Seal tightly and freeze. Thaw overnight in the refrigerator. Thawing on the kitchen counter is risky – the dough gets very soft and is difficult to roll out and handle. It can stay in the refrigerator, tightly wrapped, for several days. You can also pre-bake a crust and freeze it, but it takes up more room in the freezer and it’s awkward to wrap. Be sure to stock up and enjoy the luxury of having pie more often! Watch the How To Freeze Pastry Dough Video Here.